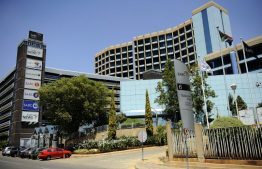 The National Assembly’s Programme Committee wants the filling of eight vacancies in the SABC Board to be expedited. DA member of the committee John Steenhuisen says it will be a problematic state of affairs if the country goes to election while the SABC does not have a board. The current board lacks a quorum as there are only four non executive board members left. Over 223 candidates have been nominated and the shortlist process starts next Tuesday. Steenhuisen says it is critical to expedite the SABC Board selection process. The post ‘Expedite SABC Board selection process’ appeared first on SABC News – Breaking news, special reports, world, business, sport coverage of all South African current events. Africa's news leader..